Born in Redwood City, California, Linda Cardellini attended Saint Francis High School in Mountain View before venturing off to Loyola Marymount University. Though she landed numerous guest starring roles in series like 3rd Rock From the Sun, Clueless and Boy Meets World, and a regular role on Bone Chillers along with few film roles in Good Burger (1997) and Dead Man On Campus (1998), it wasn't until she landed the part of Lindsay Weir on the popular series Freaks and Geeks that people started to notice her. Her role as an honor student in the midst of an identity crisis on Freaks and Geeks provided enough exposure for Linda to gain better roles in big budget films such as Legally Blonde (2001) and Scooby-Doo (2002), playing the ever-so-bright Velma in the latter. In 2003, she was added to the cast of the popular TV series E.R. as Nurse Sam Taggart. She was nominated for Outstanding Guest Actress in a Drama Series for her role as Sylvia Rosen on Mad Men (2007). She starred alongside Kyle Chandler and Sissy Spacek on the Netflix Original series Bloodline from 2015 to 2017, played Laura Barton in the superhero sequel Avengers: Age of Ultron (2015), Sara in the comedy Daddy's Home (2015), and Joan Smith in the biographical drama The Founder (2017), starring Michael Keaton. She reprised her role as Sara in Daddy's Home 2 (2017). In 2018, she starred opposite Viggo Mortensen in Green Book , which won the People's Choice award at the 2018 Toronto International Film Festival and went on to win Best Picture at the 2019 Academy Awards. She appeared in the drama thriller A Simple Favor (2018) alongside Blake Lively and Anna Kendrick, and in the action film Hunter Killer (2018) with Gerard Butler and Gary Oldman. In 2019, she appeared in two major hit films which both released in April. 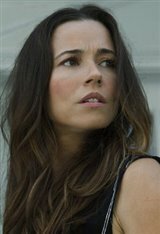 She played the starring role in the horror film, The Curse of La Llorona (2019), which debuted in the top spot at the box office, and reprised her role as Laura Barton in the Marvel hit movie Avengers: Endgame (2019) . In her spare time, Linda enjoys collecting art and taking martial arts classes. She and longtime boyfriend Steven Rodriguez have one child together, a daughter named Lilah-Rose.